Pioneers in the industry, we offer energy efficient motor for electrical industry from India. 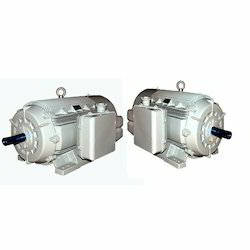 Our organization has constantly sought after incredibleness in its attempt by giving predominant quality Energy Efficient Motor. Owing to the high operational familiarity, these engines are comprehensively utilized as a part of business and mechanical portions. Offered engines are very requested in the business sector for their ideal quality and sturdiness. Produced from quality tried parts, these engines are additionally legitimately tried against a few parameters by our quality inspectors. These vitality effective engines are accessible at the most moderate cost.